During it's long operational career, the Pe-2 excelled in a wide variety of roles, from heavy fighter to ground attack, reconnaissance and night fighter. 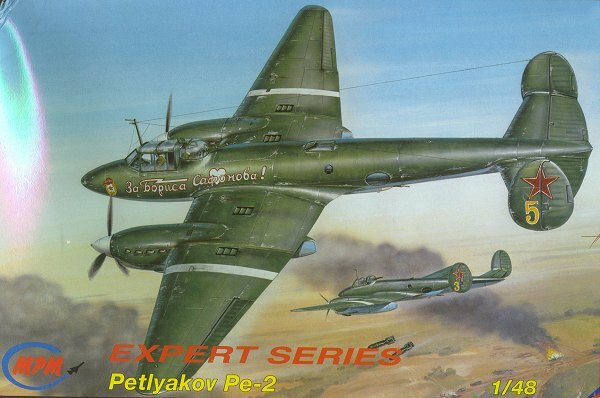 It may well have been the most versatile combat plane fielded by the Soviets. Thousands were manufactured, with the basic design undergoing continual improvements well after the end of WWII. Alongside the equally successful IL-2s, the Pe-2 spearheaded Soviet tactical aviation during the long and bloody road to Berlin. The Pe-2 project grew out of designer Vladimir Petlyakov's V.100 work. Started in 1938, the V.100 program started life as an extremely advanced heavy two engine fighter, then was transformed into a bomber when the specifications for the project were changed. Though otherwise an outstanding airplane, the prototype's high altitude sighting equipment was not suited to the role, so the aircraft morphed into a dive bomber. With a reinforced wing and the addition of aerodynamic brakes, the first Pe-2s were born. Unit delivery started in 1941. Throughout the war, modifications were made to increase the defensive and offensive armament, armor, and engine power available. Late in 1941, the original heavy fighter concept was revisited, resulting in the Pe-3 heavy fighter. This aircraft was ideal for deep reconnaissance and city/industrial area defense duties. The Pe-3 was also built throughout the war, side by side on the assembly lines with the Pe-2. Though 1/72 scale modelers have had a choice of Pe-2 kits, this is the first one available for those of us who prefer 1/48. MPM kits have been getting better and better, and the Pe-2 appears to be the best of the lot. Four trees of plastic parts (one clear, three hard grey) are stuffed inside the box. Molding is very nice, with very little flash and few (if any) surface defects. Panel detail is finely engraved. The plastic itself is hard, smooth and does not have the annoying pebbly surface often found on other Eastern European-made kits. The clear parts are styrene, not vacuformed acetate, which should make them much easier to use. They are slightly hazy (at least mine were) and will no doubt benefit from polishing or a dip in Future. Detail throughout is quite good, with one glaring exception. Wheel wells, fuselage interior, landing gear - it's all crisply molded. A full cockpit AND radioman's compartment is provided. Resin bits provide the extra needed to liven things up inside and out. All is not perfect, though - the instrument panel provided, for instance, is just a featureless slab. I'll have to hunt up a generic brass set from which to get gauges and dials. Some of the resin bits are quite tiny and fragile looking, and getting them off their carriers unbroken should prove a challenge to my ham hands. The engineering of the kit is rather good as well - it's obvious they thought out how best to assemble this beast. The wings, for instance, come in five pieces that make it easy to build in the right dihedral for the outer panels. One area of concern, however, are the number of clear side windows that fit into fuselage openings without any kind of restraint. You may want to put these in as a last step, as having them falling out while masking and painting is a real possibility. Decals are provided for three versions: Soviet, Czech and Polish. Printed by Cartograf, they're thin, vivid and perfectly registered. A well illustrated and comprehensive instruction booklet rounds out the package. Text is in Czech and English, but you really don't need much of besides the paint call outs. Each step is clearly drawn and appears in a logical, easy to follow sequence. MPM has another winner - or so it seems at first inspection. 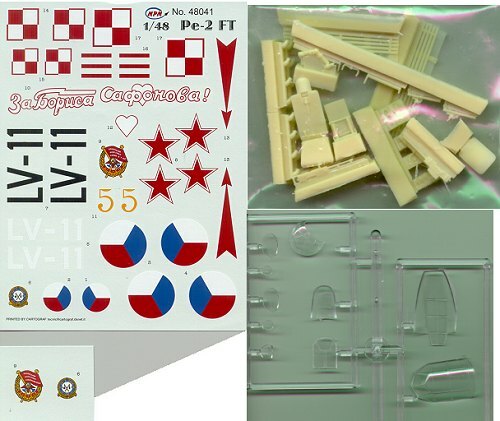 If you're a fan of 1/48, twins or Soviet aircraft, this kit will make a fine addition to your collection. 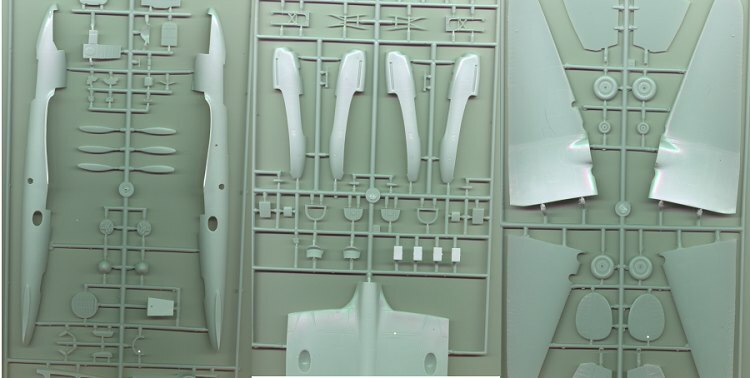 It looks like assembly is straightforward enough that it could be a good kit for an intermediate modeler wanting to take their first crack at a limited run model. Review copy, courtesy of my long suffering wallet, was obtained from NKR Models [http://www.nkrmodels.com.au/] in Australia (Squadron has it now too).